These are the stories of that world. 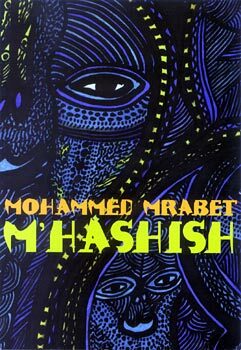 The word m'hashish (equivalent in Moghrebi of 'behashished' or 'full of hashish') is used not only in a literal sense, but also figuratively, to describe a person whose behavior seems irrational or unexpected. The tales here deal with some of the possible results, desireable and questionable, of being in that state. Taped and translated from the Moghrebi by Paul Bowles. Mohammed Mrabet was born in Tangier around 1940. Since 1965, Paul Bowles has taped and translated numerous strange legends and lively stories recounted by Mrabet.